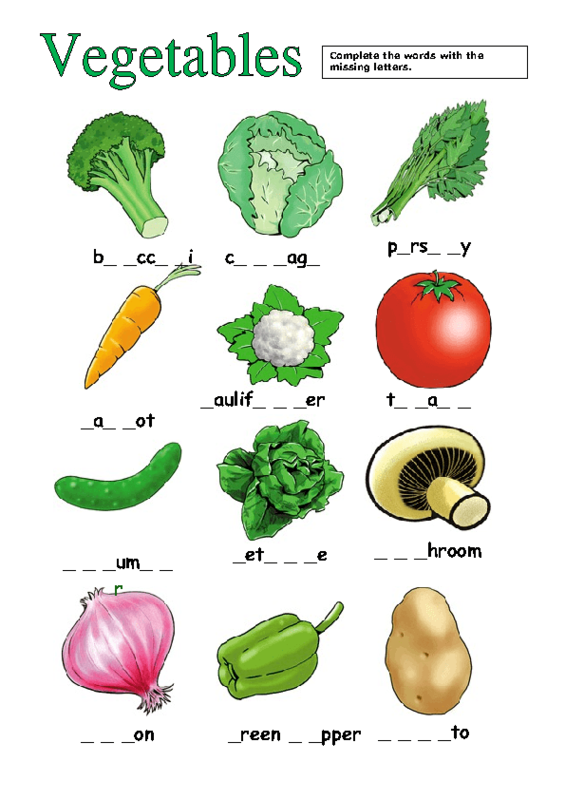 This is a pretty easy worksheet for teaching or revising vegetables related vocabulary at elementary level. 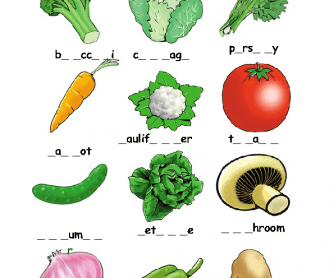 Students are asked to look at the pictures and complete the words with the missing letters. The worksheet is available in both colour and black and white version and the answer key is included.